This spring, University of Richmond classical studies and women, gender, and sexuality studies professor Erika Zimmermann Damer will conduct first of its kind research in Rome on women depicted in ancient graffiti through an IES Abroad grant. She teaches in classical studies and women, gender, and sexuality studies. Zimmermann Damer is also currently involved with the Ancient Graffiti Project, a digital resource and search engine for locating and studying graffiti of the early Roman empire from the cities of Pompeii and Herculaneum. 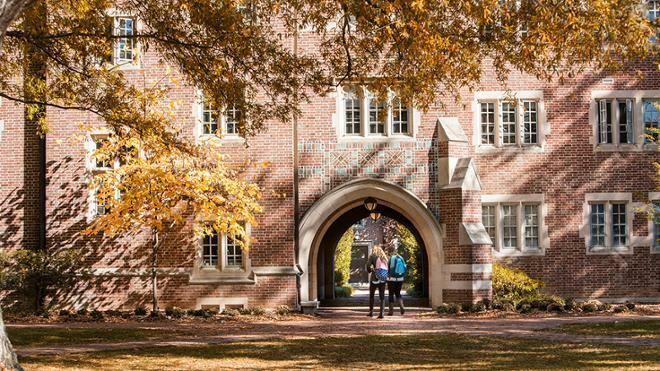 The inter-institutional effort involves University of Richmond undergraduates and collaboration with faculty from Associated Colleges of the South. Zimmermann Damer has taught at the University of Richmond since 2010. She obtained her M.A. and Ph.D. in classics from the University of North Carolina at Chapel Hill. Erika Zimmermann Damer, associate professor of classical studies and women, gender and sexuality studies at the University of Richmond has been awarded an IES Abroad research grant to study ancient graffiti in Rome. The award is estimated at $2,500 and will pay for housing and travel expenses.